Synopsis: How the Wellness approach includes, but takes us beyond, ordinary healthcare and reparative/maintenance medicine. The wellness focus takes us to higher levels of filling our potential for greater health and includes how love (self, other, higher, etc. love) is crucial to the process. Can you be healthy without Love? The mounting evidence is strongly pointing to the answer being – no. No, because it seems that without healthy, real love in our lives we begin to neurochemically and biochemically malfunction. That sets us up for a host of serious biological, psychological and associated relational problems. Fortunately, the opposite is also true. With a sufficient supply of healthy, real love, our physical, psychological and relational health tends to soar. When we are the recipient of healthy, real love behaviors our brain and body chemistry processes operate more efficiently, effectively, more powerfully and just generally better. To know more, you can Google Love and Health and get into the plethora of supporting studies and books. Our bodies, and especially our brains, respond to those improved chemistry changes in many wonderfully healthful ways. In turn, that greatly assists us in achieving our personal potential for above normal health and maximum wellness. You can learn the details of how all that functions by reading Love and Survival by Dr. Dean Ornish, a wellness-oriented physician/medical researcher. He wrote one of the best and most interesting summary books on how love effects health. Also, at this site, you can go to “What Your Brain Does with Love - Put Simply”. Wellness and How It Differs from Other Healthcare? The Wellness approach is rather different than the treating sickness and fixing injuries focus which historically is the more usual orientation of medicine. It also is different from the prevention and safety foci of many healthcare services. Wellness aims at helping us achieve higher than average or above normal “high health”. Wellness practices involve a process of taking actions toward more healthful living, above and beyond just treating issues of ill health or just maintaining one’s average level of general health. The wellness approach aims at promoting and achieving maximum health in all major areas of life. That includes physical, psychological (cognitive and emotional), occupational, spiritual or metaphysical, environmental and relational aspects of life. It is a lifestyle and holistically oriented, multidisciplinary effort aimed at optimal, healthful living for not only an individual’s benefit but also for communitarian and ecological healthfulness. It's hard to live in ongoing wellness surrounded by that which is unhealthy. Sooner or later a sick environment makes its inhabitants sick too. Wellness approaches especially are focused on discovering and assisting the development of positive strengths, qualities and potentials for health. It is more about advancing what is good and what can become really good than fixing what is wrong or just keeping things well enough. Fixing what is wrong, if there is something wrong, is of course included in the wellness approach. The medical wellness approach to health is inclusive of augmentative and super-additional practices. At some wellness centers this includes non-illness issues such as skin care, hair care, massage therapy, exercise and nutrition assistance. First, some questions. How is your love relationship with yourself? That is important because the more you healthfully love yourself, the more you are likely to do a good job of growing your wellness. Conversely, a lack of healthy self-love can result in poor self-care, poor motivation to improve or to stay with a program for wellness, as well as poor self-love can lead to ignoring one's sabotaging, unhealthy, lifestyle actions. For help with healthy self-love, at this site go to these mini-love-lessons: “Self-Love – What Is It?”, “Self-Love, a Good Thing or a Bad Thing”, and “From Self-Love to Other Love and Back Again”. Also, how are your love relationships with others? Who will benefit by you growing your wellness? That is important because the more you grow your wellness the better you are likely to be at loving those you love and those who love you. So, who do you truly love and who are you loved by? And/or are you going to give them a more well you? Next, do you have and are you working at having healthy, well-functioning and empowering love relationships? If you are, that can do absolute wonders for your wellness development. Conversely, a lack of love, being trapped in a false love syndrome, or living in love relationships that are filled with problems can do terrible things to you and your health. Those negative lifestyles may weaken your immunity mechanisms, bring on stress reactions, mess up digestion and metabolism functioning, increase your bad cholesterol, drain and de-energize you, cause insomnia or other sleep disturbances, lessen cancer resistance, make for blood pressure problems and greatly increase your likelihood of developing anxiety and/or depression problems, cause addiction’s relapse, increase the likelihood of heart attacks and strokes, as well as exacerbate any other health difficulties you may be dealing with. So, how is your spouse/mate love, family love, deep friendship love, pet love, spiritual love, love of life, altruistic love, and all else you may truly love? Are your love relationships empowering you, inspiring you, sustaining you, reducing your stress and bringing you substantial happiness? Now, as you assess this, don't forget your love relationship with yourself. Ample evidence shows the more you work to improve and enjoy your love relationships the more likely you are to be helping your health move toward fulfilling your personal potential for wellness. Newly started wellness-focused medicine and healthcare programs are assisting people of all ages, situations and conditions to move toward fulfilling their own potential for wellness and high health. 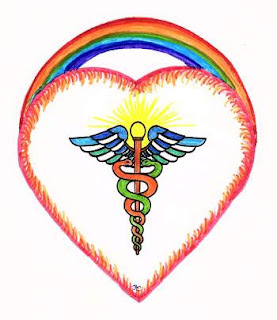 Physicians, RNs, PAs, psychotherapists, health counselors and coaches, plus a good many others, have begun to receive specialist training in wellness medicine/healthcare and also start qualifying for recently instituted, specialized wellness credentialing. Newly created Wellness Centers and clinics are showing up in more and more communities. Degrees in wellness are starting to be offered at universities. Large corporations are starting wellness programs for their workers staffed by specially trained, new, wellness practitioners. But you may wonder, what really makes wellness medicine different or an advancement? What does it have to offer in addition to the more familiar forms of medical care? In the past, most of medical practice has been focused on treating illness and injury, or in disease prevention and safety maintenance. And as stated above, the wellness focus in medicine is different in that it aims toward achieving "high health" or maximum wellness and greater fulfillment of one's potential for living healthfully. This has led to new and different diagnostic procedures, along with new recommendations for health achieving behaviors, new and different medicinal prescriptions and protocols, as well as new and different forms of treatments and treatment regimens. Wellness medicine is a little bit similar to the bracket of sports medicine which focuses on improving and maintaining high athletic performance. But instead of a sport orientation, the goal is helping fulfill our potential for achieving above usual health. You see, you are built with a potential to go beyond average and achieve above normal healthfulness. The wellness focus in healthcare is aimed at helping you fulfill that potential. Furthermore, a wellness approach can help you become more healthful in a wider variety of non-critical areas that often do not get attended to. Even though some of these are not crucial, those areas when improved add to your general, all over wellness and sense of well-being. The wellness approach is based in a growing body of medical and related research into what is different about the people who live in high health around the world. What you do and do not put into your body, plus how and how much you exercise plays a big role. Genetics, of course, is part of all over wellness. But the rest of it, and perhaps the majority factor, has to do with healthful lifestyle behaviors and the thoughts and behaviors that support those lifestyle behaviors. That is where love comes in along with everything else that impacts you emotionally, cognitively and behaviorally. Here is a simple, arguable precept. Those who love well and are loved well tend to live well. They also tend to live longer, more fulfilled, happier, physically and psychologically healthier, more productive, more socially connected and satisfied, and generally live more beneficially to others. If you doubt that, do some research. I suggest you start with our working definition of love so that you have a more grounded and factual understanding of what we mean by love (see “The Definition of Love”). Then read the widely acclaimed work titled Who Gets Sick by Dr. Blair Justice, a highly regarded health research psychologist. You can Google “love and health” and dig into all the research about the many surprising ways love positively influences physical and psychological health. I think you'll find plenty of evidence showing healthy, real love is wonderful for whatever ails you and for developing wellness. Take action! Look for wellness practitioners and Wellness Centers in your own locale. Read some of their websites. Call one or two of them and ask about what they offer. Go visit a wellness center and get a feel for the place and the personnel you meet there. Get and read some of their literature. Be sure to get a list of the credentials of the main practitioners working there. Check some of those out on the Internet. Do they hold doctorates and, if so, in what? Are they licensed health professionals? It appears that osteopathic physicians (DOs) are providing a lot of the leadership in the wellness approach but there also are plenty of MDs, PhD's R.N. 's PAs and others. Find out if this particular practitioner or wellness center is connected to, or associated with, a hospital, medical clinic, university or other recognized institution or health involved agency. Then see if you can get an introductory, possibly free conference with one of the center’s practitioners so as to find out what they might do with and for you. Wellness centers vary widely in their offerings. Some are in places where traditional medicine is also practiced. Others have alternative, new age and Oriental health treatments available. Still others may offer physical therapy, hormone balancing, laser services, couples enrichment, weight control, stress management, high achievement coaching, meditation, a wide variety of different forms of massage therapy and quite a host of other services. Some wellness practitioners and wellness centers include programs for couples and families and children and even, once in a while, pets. Also some wellness professionals and centers have really terrific diagnostic options by which they can tell you all sorts of important health information and use to design a really fine, personalized and custom tailored, just for you, wellness program. Group programs also may exist, and have the extra advantages of interaction dynamics, and may be cheaper too. So, be sure to get the full rundown. Then consider signing up for something and trying-on for size the wellness approach. Many do and are very glad of it. If you cannot find a wellness practitioner or wellness center close enough, you might want to check with the USA's National Wellness Institute at the University of Wisconsin. There you may be able to find out about their programs, along with various online offerings and additional recommendations. They also may be able to make suggestions for finding wellness practitioners, centers and organizations in your locale and internationally. One more thing. Who are you going to talk over wellness ideas with, and maybe in the process tell them about this site and all its many offerings? ♥ Love Success Question: Who would you most like to team with going toward greater wellness?